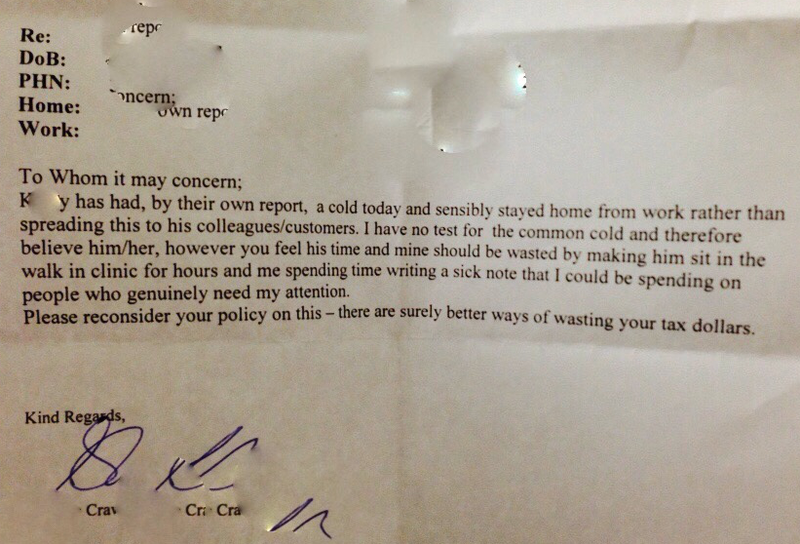 In Canada and elsewhere, it’s common practice for employers to demand a doctor’s note when calling in sick. But as this letter from a doctor in Calgary so eloquently points out, it’s not just a headache for employees — it’s also a burden on the system. This unverified sick note was posted to Reddit by eagle66 who claims the note was written for a friend who lives in Calgary. But even if it’s fake, it makes a rather excellent point.